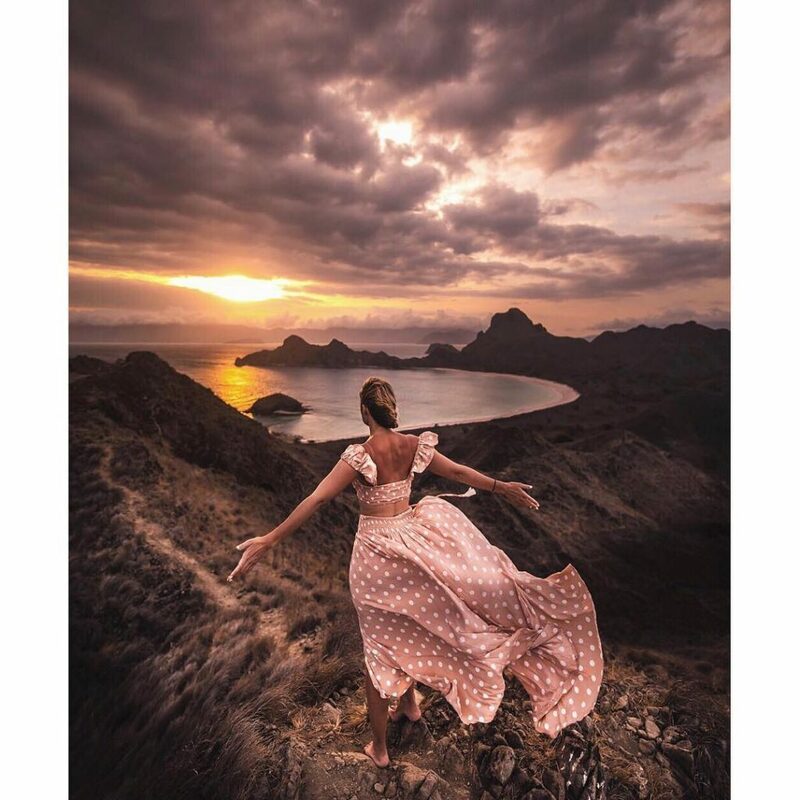 The majority travelers know Flores for its infamous Komodo National Park, a member of New 7 Wonder of the World, a UNESCO World’s Heritage, and much importantly, home for the last dragons in the earth. Ever since its nomination as the New 7 Wonder candidate, the Komodo quickly become an overnight travel sensation, drawing wanderers and wildlife enthusiast to the far-flung region. Today, people are signing up for Flores Komodo tour every day to sail around Flores’ beautiful archipelago and walk with the dragons in the isolated Komodo Island. However, not much know that Flores has more than the infamous Komodo dragons. From the brimming marine life with incredibly rich biodiversity to high rising dormant volcanoes, the wondrous nature of Flores won’t stop to appease you. Now when you are done with the dragon adventure, it’s time to leave Labuan Bajo and get deep into the mainland Flores. Here lies two phenomenal mountains in Flores; Mount Kelimutu and Mount Inerie, that totally worth a visit. If you want to make your path to Flores’ peaky mountains, be prepared for backpacking travel. This won’t be an easy trip, but the intensity of the challenges will keep the impression last forever in your soul. 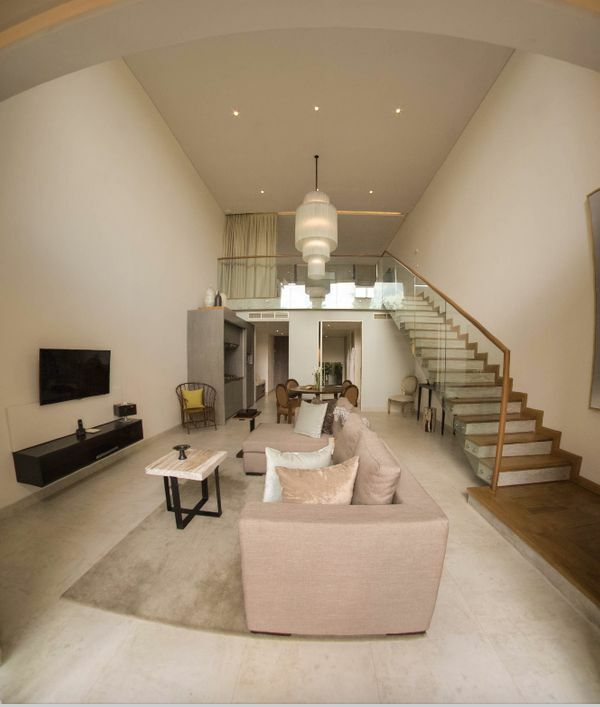 Unlike the easy breezy coastal holiday where you can take leisure in 5 starred waterfront hotel, accommodations on mountain climbing are more on the rugged side. Expect to find a very basic lodge to sleep in the mountain feet. When you have started to hike, you would likely be expected to camp in a tent. But isn’t that the true adventure? The 1,690 m above sea level high Mount Kelimutu would be a great start for our mountainous Flores Komodo tour. 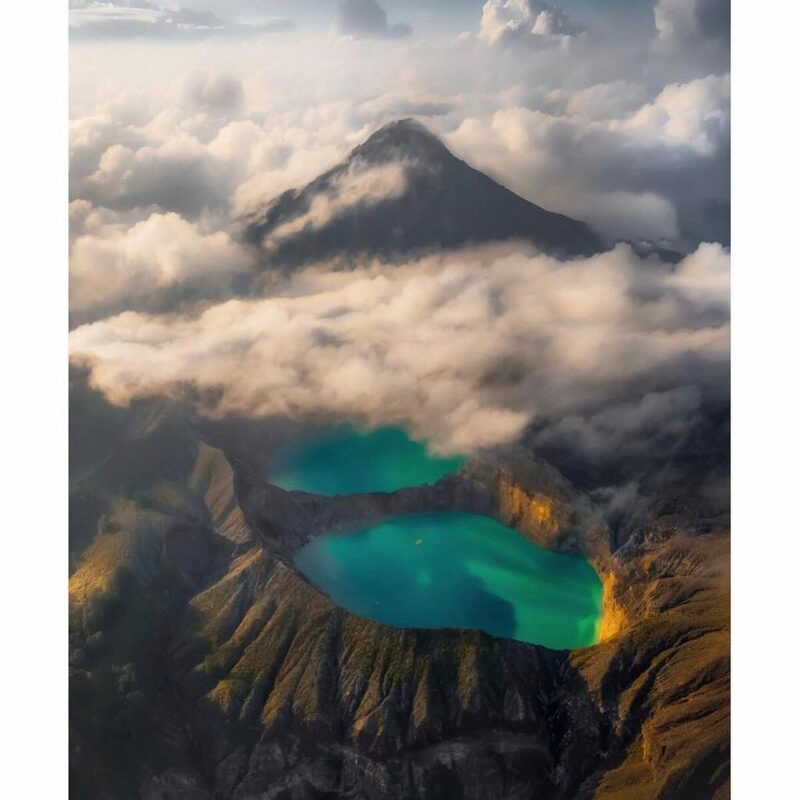 Being the smallest national park among six others between Bali and Nusa Tenggara Islands, Mount Kelimutu is known as the volcano-beginners for mount climbers in Flores. But don’t let the size deceive you. This dormant volcano offers spectacular wonders that are yet to behold. Kelimutu, which name means “boiling lake”, derives from three lakes, separated by thin ridges of rock formation, that settles right on its dormant crater. It is beautifully haunting as the boiling lakes are, not only they are of different color, but also constantly changes its color without any preceding signs. The Kelimutu lakes are famous for being extra unpredictable for when and what color they would change into. One is turquoise, which is pretty consistent throughout the year, while the two others would wildly change into red, white, green, black, or dark as chocolate. Science says that fluctuating changes of chemical and mineral balance plays a part in color transition, but Flores’ folklore has another say. The locals believe that the departed souls reside on these lakes. The bright turquoise is where the old souls dwell, the other one is for the spirit of young people, while the wicked go to the last one. Once you set your feet in Flores, you would soon see of a towering mountain which presence is felt all around central Flores. That’s Mount Inerie, rightfully translated as the Beautiful Mother in the local language. The majestic mount Inerie rise in 2.245 mdpl high, its peak disappear in the hovering clouds. Unlike Kelimutu, hiking Mount Inerie is rather challenging with some slippery paths and steep slope. On certain condition, reaching the summit is almost impossible as it could be too slippery. On the foot on mount Inerie spreads Bajawa settlements; big Flores’ traditional villages that scattered around the hills who still strictly adhere to ancient megalithic beliefs. Under the shadow of our Beautiful Mother sits one of the most famous community, the Bena Village. A visit to Bena would make an impressive Flores Komodo tour, as you would have a chance to see magnificent stone formations, ancestral shrines, traditional high-thatched roof houses, and prehistoric culture that still thrives until today. Who can think of being able to breathe in water? Logically this is impossible. The theory of breathing in water has been solved by diving activities. Breathe in water with a certain depth using diving equipment such as tubes, masks, and others. Scuba diving is increasingly popular from time to time and even becomes a profession. Thanks to the scuba diving lessons for beginners, this is an activity for all ages. Wherever you are going to dive, scuba diving lessons for beginners are very important. Training from dive operators alone is not enough. There are many things that need to be learned as the level of skill level or certificate is owned. Some of the many questionable questions are prospective scuba diving for beginners. Does Scuba Diving Lessons For Beginners Guarantee Safety? Yes, diving is safe. If you study well and use skills correctly, diving is the same as walking. Scuba diving lessons for beginners can reduce risk during dive and everything will be fine. Follow all instructor’s words and teachings while on the high seas and you will see how amazing the underwater world is. To be honest, diving doesn’t come at a low cost, but it can’t be expensive either. Scuba diving lessons for beginners from each dive organization have different prices. Choosing the best is certainly a little more expensive. The benefits? You will be well received for diving in any part of the world. Maybe people think that dive operators take a lot of profits for the diving program for beginners. But the price offered by most dive operators is the right price. There is a large fee for dive operators themselves. Instructor financing. boat rental, purchasing diving equipment, pool fees, transportation and many others. The price of scuba diving for beginners varies throughout the world. So it is necessary to look for cheap dive tourism destinations while enjoying the trip after diving. Is Diving the Best for You? Many people are interested in trying scuba diving lessons for beginners. But are you sure to invest time and money in a foreign environment? 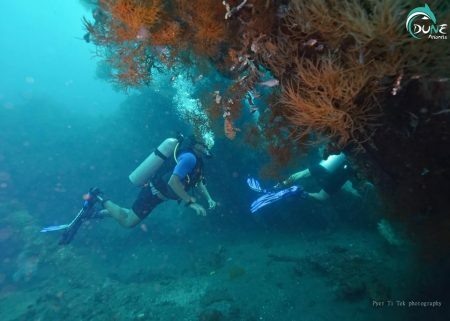 When diving is an activity just for fun and is done during holidays, then the depth limit of 12-30 meters is enough for you. No need to pursue further training for prestige. Taking a certificate from the PADI organization is the right one for your diving training. You can continue diving training when you have thought about whether this activity is the best and right for you. The enticing idea of going somewhere remote, far deep from the beaten path, get disconnected from the rest of the world, and get the chance to enjoy tropical idyll in nature’s finest setting are what drive many of us to book a Komodo tour. Everything on Komodo, Flores, seems like straight from the wilderness. Journey to Komodo offers breathtaking experiences that would be difficult to refuse; an opportunity to have direct encounter with the last dragon of the earth—the Komodo dragon, endless exploration on vast savannah fields, observing wildlife animals interaction in their natural habitat, and the joy of finding beautiful hidden spot all for yourself. However, some people are just born with insatiable crave for extra dosage of adventure—and here’s some simple way to quench the thirst. If you are constantly seeking for challenges and unexpected adventure, brace yourself to embark solo. There are many Komodo tour who are selling for solo slots—which goes more popular by “Open Trip”. In this kind of trip, you gonna buy a slot on the liveaboard for yourself, get set up with random cabin mates for the whole voyage, and exposed to exciting ideas that might be coming from your travel companions. Say yes to every possible ideas and let the whims of newly-found friends open the gate to unexpected escapades! Bring Tent or Hammock Along! Make your bag as your compact home. 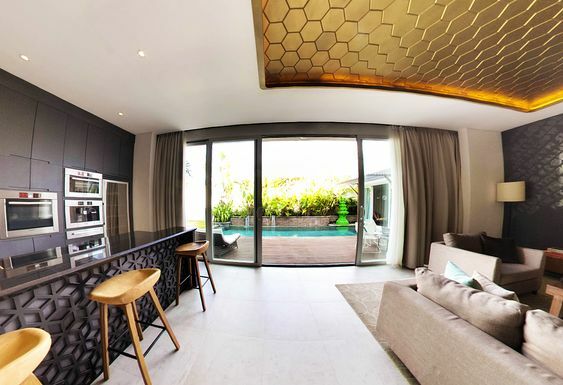 Never settle in one hotel unless you want to shut the door to adventure. Set aside some time for further Flores exploration after the Komodo tour with liveaboard ended. There are still so much things to see in the mainland Flores beyond the national park! Take time to get deep into the Cunca Rami Waterfall, Rangko cave, Cunca Wulang canyon, and the majestic Kelimutu mountain. When you are in Flores, sign up for hostel-hopping (give you varied experience), road tripping, and of course, tent camping (or hammock camping). Spend at least one of the night under the bare, luminous night sky. In a land as pure as Flores, that experience would feel almost magical. Komodo tour is hardly possible to do without making arrangements with the boat tour operator. Well, unless you are willing to charter a whole boat for yourself (super expensive) or rent small fishing boat and sail it yourself (not really comfortable nor recommended). 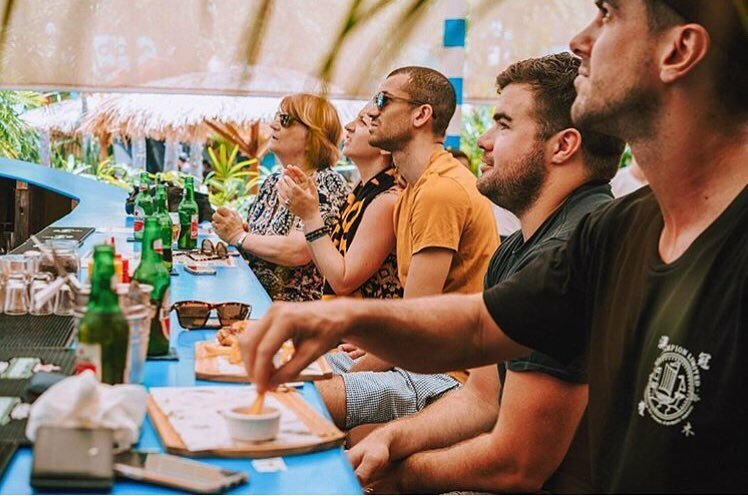 In the other hand, many tour operators has fixed, mainstream itinerary on their hands—which means you are having no option than following the mainstream paths to visit the “must sees”. If possible, look for Komodo operators who lets you personalised the itinerary, suggest lesser-known islands other than the famous Padar or Rinca, or hire professional local guides who know a lot of special places that’s still hidden from mainstream tourists. What Is Hammock Camping and Will You Needs It? The first time I was hearing about the hammock, I don’t even know what it is. Yes, that’s how outdated I was about many things. But, surely that camping couldn’t be the great thing in my life, I mean, I have known about it since I was a kid. People are getting new things all the times. So with me when not so long ago introduced to the camping with a hammock. As it was the new thing in my life, later I was reading articles that was saying it as its original name was the Hamaca. That’s all I know about the history of the hammock itself. I can’t even remember about the involvement of the Mayan and Mexican in finding the hammock before. But if you are curious about it and all other history stuffs, you’d better find them all at the other sites or references. That’s all I know about it. Hammock itself is the fabric that shaped no different with the blanket but there will be the hooks on its both ends so it can be hanged between the stands or any other vertical objects. Its setup is no different with how you will tie the rope on its both side, as simple as that. Should you experience a hammock camping? 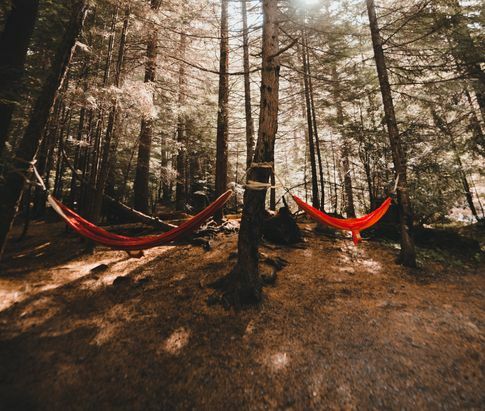 While this can’t be an obligation for everyone of us, yet, hammock camping is still recommended by many people out there since there are many benefits of it. At first, I was thinking that camping using a hammock itself is only for the travelers that are heading to somewhere or those who want to camping as well. Later, I have found out that the hammock itself can be used at our own home and is also recommended if you want that. As the hanging sleeping system, apparently it can be used both outdoor and indoor to take a sleep or rest. 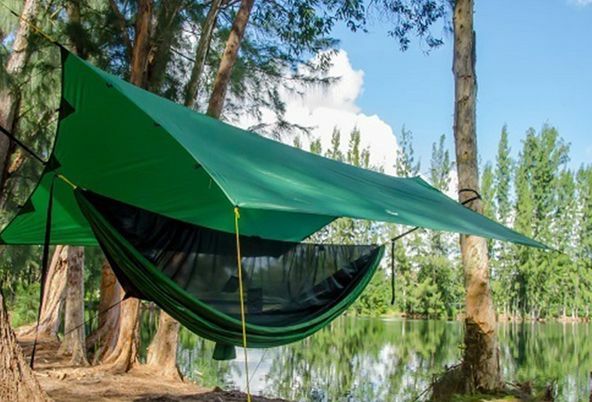 One of the hammock camping manufacturer has been said that “being disconnected from the ground doesn’t mean less intense experience.” I do really agree with that since sleeping above the ground can be that interesting. The funny thing I was thinking about that is how people will be getting the well sleep while shaping their body as if like the banana-shape? The secret is actually at how tight or loose the suspension is. It is truly comfortable and you will likely to fall asleep faster than sleeping on a bed. I have no idea how it can be like that, but I am now thinking about the hammock for the babies that can make them sleep very well by giving it the gentle swing. Knowing that the hammock can be good for our time to fall asleep, which is faster, I think it will also useful or at least can be suggested to your friends of family with Insomnia. They can try to get a sleep on a hammock and see if they can be healed by the times of doing that. And they shouldn’t get to go out for camping first since using it in the house can also be possible. If you will need to experience the hammock while camping at outdoors, that can be interested too. Sleeping under the bright stars in the bright night can really be the beautiful thing you can get. And you will do it comfortably while hanging on a hammock, so there will be more better things you can get on your trip.